Upcoming stuff: Ella, Kirk, and Rambo. Shelter dogs. 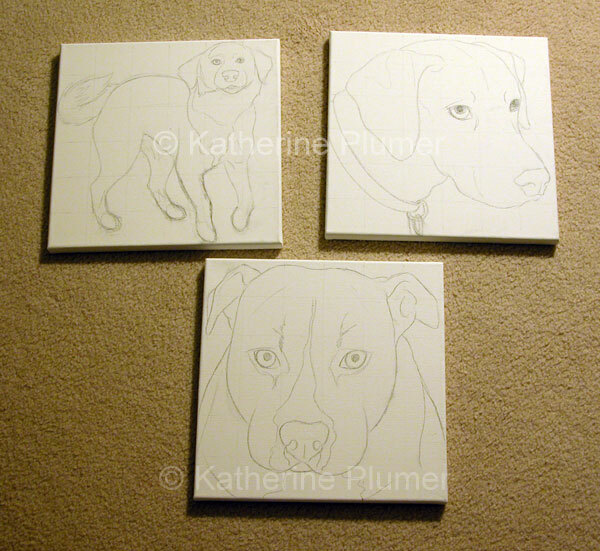 12x12 inches each, will be acrylic on canvas (what you see here is the pencil sketch).